One of the most unknown aspects of the California Lemon Law is it applicability to members of the United States Armed Forces. 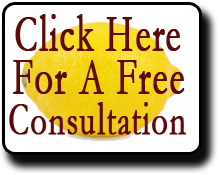 Generally, in order to have a valid California Lemon Law claim, the lemon vehicle must be purchased in the State of California. Not so if you are a member of the United States Armed Forces – Army, Marine Corps, Navy, Air Force and Coast Guard. There are two situations in which a member of the Armed Forces may utilize the California Lemon Law if the member purchased a lemon vehicle outside of California – (1) If the Armed Forces member is resident of, or stationed in, California at the time of the out of state purchase; or (2) if a California Lemon Law claim is filed by the Armed Forces member while the member is a resident of, or stationed in, California. (See California Civil Code section 1795.8.) And, of course, if an Armed Forces member purchases a vehicle in the State of California, the California Lemon Law would apply regardless of where the Armed Forces member resides or is stationed. Given the sacrifices that our Armed Forces members make for all of us, it is pleasing to know that the California legislature saw fit to provide these members with enhanced Lemon Law protections. If you have any questions regarding the California Lemon Law, please contact us at (866) 360-6886 or at info@davidjfarrell.com for a free consultation.